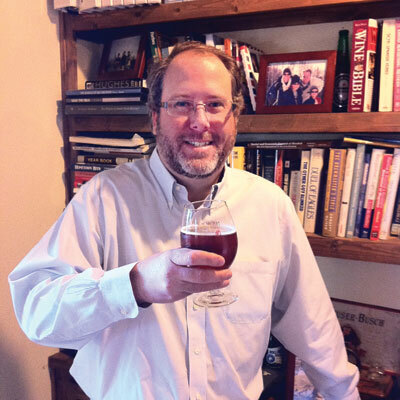 Harry Schuhmacher is the editor and publisher of Beer Business Daily. Editor’s note: This article appeared in our January issue, and several additional acquisitions and consolidations have occurred since it was written. Buckle your seat belts. The speed at which sales are happening across the beer industry is frightening, and earlier this summer I had a front seat to one of the more talked-about acquisitions. I was in Mexico, summoned there by Meg Gill, one of the co-founders of Golden Road Brewing of Los Angeles. She wanted to share news that was about to break. “I’m getting align-ed,” she said in a fake Portuguese accent, “with the Brazeelians!” She was selling out to Anheuser-Busch InBev. Or more specifically AB InBev was buying out two of her three partners, while she and CFO Paul Burgis reinvested most of their portions back into the company and will stay on. That, my friends, is the dirty little secret of the craft beer industry. Rob Tod of Allagash told me that once you start growing above about 40 percent a year, in the absence of some pretty significant trade-offs, “it’s awfully tough to continue to finance with traditional bank debt for extended periods. Just too capital-intensive a business.” So, after some time, brewers either need to slow things down or seek alternate funds like outside equity. Building out brewing capacity, it turns out, is very expensive. Once you start growing big, bank debt can’t even keep up with the cost of building capacity. So unless you have a very rich uncle or an angel investor, “selling out” to private equity or a big brewer suddenly becomes a viable option. In fact, if you ranked the fastest-growing U.S. craft brewers you can bet that those brewers have or will soon require private equity money or endure an acquisition. For those older stalwart brewers who don’t go either route, we’re seeing the founders prepare for the next generation of ownership. Sierra Nevada and Bell’s have active children of founders in the business. Others are handing off their legacies to their employees, like Harpoon and Left Hand. Increasingly, private equity is getting into the game, including Oskar Blues, SweetWater, Abita and countless others. Depending on which private equity firm is behind a brewery, certainly some or most of them will want a payback within a certain time frame. When that time frame comes up, who will be holding the bag when these breweries come up for sale? I smell a secondary bubble, or at least a secondary big wave of consolidation. What does this mean for the consumer? Tough to say. If belts suddenly need to get tightened because the money people are involved and demand softens, we could see lapses in quality. If demand remains robust and consumers continue to demand variety it behooves these better-funded companies to provide them. The key is the people—both consumers and the brewers—remain connected despite where the equity for the equipment comes from. Social media is the force that makes up the difference between this capacity scramble and the one in the late 1990s. But that doesn’t mean we will be immune to another shakeout of sorts. There is only so much shelf space and so many tap handles, and with 4,000 breweries and another 1,000 in planning, once the music stops there are sure to be more brewery closures in our future. Profits and returns still matter, even in the craft beer business. Harry Schuhmacher is the publisher of Beer Business Daily. Follow him on Twitter @beerbizdaily. As someone once said the only constant is change. Every industry has experienced expansive growth, a period of sustaining and finally decline. That doesn’t mean that the end result, “decline” means that it necessarily goes away. But that other “things” take it’s place. I would say that we will see changes in the craft beer industry, but until people totally loose their craving for beer, which has never happened, I don’t see a new “Dark Ages” period for the craft beer world occurring. Money – the root of all evil will impact some, but there are so many small brewers that do make good beer that, as long as they draw thirsty customers, there will be a craft beer available. That’s my thought, what do you think?